February was somewhat of the calm before the proverbial gaming storm. With Horizon Zero Dawn, the new Zelda, and Mass Effect Andromeda all inbound (not to mention notable indie efforts likes Tides of Numenera), so this was a time to get some time with a little testing and one significant new release. 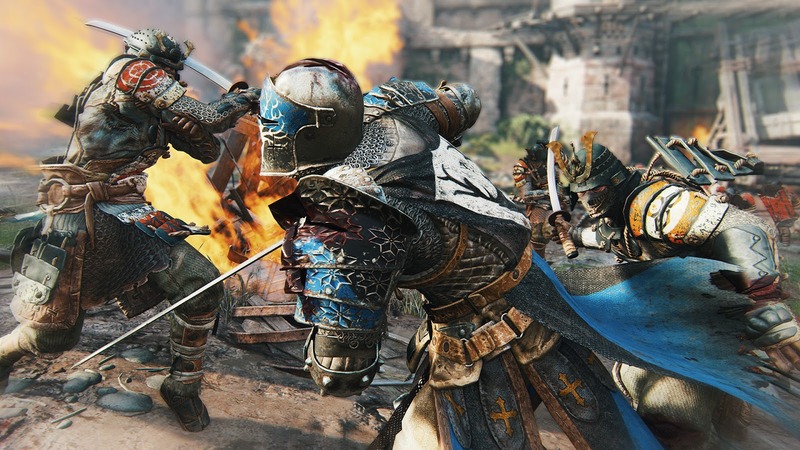 For Honor, the melee combat brawler from Ubisoft, surprised me in positive ways. I honestly didn't head into it expecting to enjoy the title that much. Melee-centric games, let alone those with higher skill caps, aren't usually my type of game. However on this occasion I have to admit that, despite the lack of any interesting solo player campaign, the game grabbed me. There is technically a single player campaign, but it is paper thin, and lacks character. This can largely be attributed to the decision to have all the actual characters keep their helmets on throughout. Maybe they were aiming for the Judge Dredd type of thing, but it only served to leave me cold to any and all of the characters here. That said, it is almost irrelevant because the meat of the experience here is the multiplayer. It is driven by some really well designed, and tightly implemented, melee combat controls. There is an immediacy to the controls that lets you get into the action quickly, but then reveals a fair amount of depth as you get deeper into the game's various team play modes. The core game-play loop is polished to perfection, and even when things are getting frantic, I never felt like I was aimlessly mashing buttons. The game does a great job of making things feel intuitive. While I can't hand on heart say that I don't sympathize with the criticism of their financial model, I managed to put that aside and just play the game in front of me. Given how the game will use traditional multi-player rankings, I don't feel that those paying their way to mastery and negatively impacting my game-play in any way. So all in all, a quiet month, with a game that pleasantly surprised me. I have no idea how I'm going to get to play all the games I want to over the next month, so we shall see how that goes. Horizon Zero Dawn will be first up, as that is the one I have looked forward to the most!